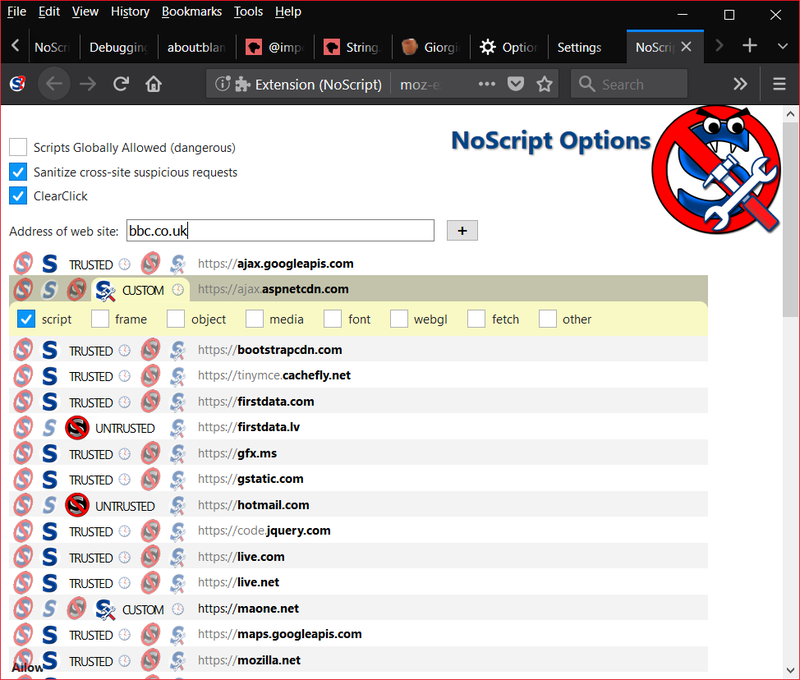 Later today In a couple of days, if everything goes fine, and definitely by the end of this week, NoScript 10, the first "pure" WebExtension NoScript version, will be finally released for Firefox 57 and above, after years of work and months NoScript 5.x living as a hybrid one to allow for smooth user data migration. NoScript 10 is very different from 5.x: some things are simpler, some things are improved, some are still missing and need to wait for WebExtensions APIs not available yet in Firefox 57. Anyway, whenever you decide to migrate, your old settings are kept safe, ready to be used as soon as the feature they apply to gets deployed. If you're not bothered by change, you're ready to report bugs* and you're not super-paranoid about the whole lot of "NoScript Security Suite" most arcane features, NoScript 10 is worth the migration: active content blocking (now more configurable than ever) and XSS protection (now with a huge performance boost) are already there. And yes, Firefox 57 is truly the most awesome browser around. If, otherwise, you really need the full-rounded, solid, old NoScript experience you're used to, and you can't bear anything different, even if just for a few weeks, dont' worry: NoScript 5.x is going to be maintained and to receive security updates until June 2018 at least, when the Tor Browser will switch to be based on Firefox 59 ESR and the "new" NoScript will be as powerful as the old one. Of course, in order to keep using NoScript 5.x outside the Tor Browser (which has it built-in), you have to stay on Firefox 52 ESR, Seamonkey, Palemoon or another pre-Quantum browser. 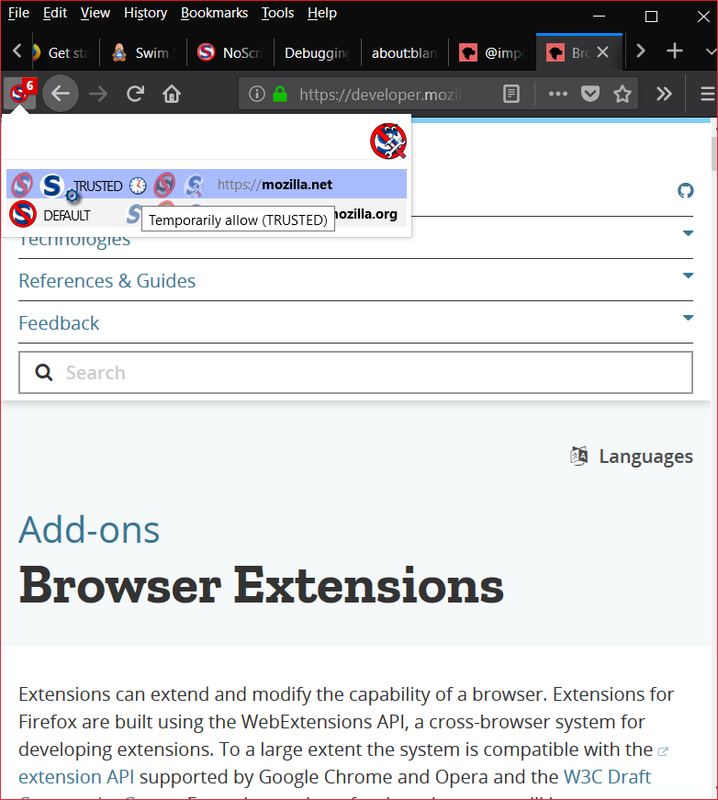 Or you can even install Firefox 58 Developer Edition, which allows you to keep NoScript 5 running on "Quantum" with the extensions.legacy.enabled trick. Just please don't block your updates on Firefox 56, it would be bad for your security. Let me repeat that: your safest option for the next few days is Firefox 52 ESR, which will receive security updates until June 2018. So, for another half-year you there will be two NoScripts: just sort your priorities and choose yours. 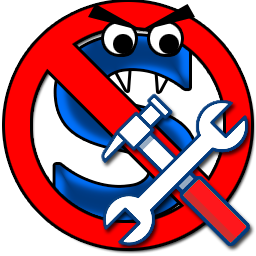 * in the next few weeks will move NoScript 10.x source code and bug tracking on GitHub, in the meanwhile please keep using the forum.